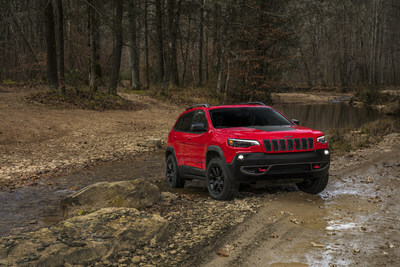 AUBURN HILLS, Mich., Dec. 19, 2017 /PRNewswire/ -- The most capable mid-size sport-utility vehicle (SUV) boasts a new, authentic and more premium design, along with even more fuel-efficient powertrain options. Additional images and complete vehicle information will be available January 16, 2018, at the North American International Auto Show in Detroit. 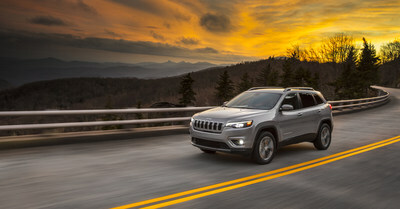 Introducing the New 2019 Jeep® Cherokee: The most capable mid-size sport-utility vehicle (SUV) boasts a new, authentic and more premium design, along with even more fuel-efficient powertrain options. Additional images and complete vehicle information will be available January 16, 2018, at the North American International Auto Show in Detroit.